The Under Armour Scent Control ColdGear Armour Fleece Jacket is a great choice for your early spring and late fall hunts when the forecast calls for cooler conditions. This jacket is made out of 100% polyester on the outside and is lined with fleece on the inside. 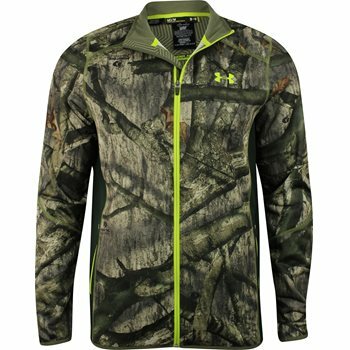 To top it off, the Armour Fleece features Under Armour’s Scent Control and ColdGear technologies. With this jacket, you can spend less time worrying about layering and scent, and focus more time on your actual hunt.